By TeleSur English Oct 10th 2018 | Venezuelan President Nicolas Maduro has commissioned a film and series on the life of his predecessor Hugo Chavez, who was the South American country’s head of state between 1999 and 2013, when he died following a battle with cancer. “We have resources … we are preparing the script and the pre-production of what is going to be a historical series and film on the life of our commander Hugo Chavez,” said Maduro to the members of his party during the United Socialist Party (PSUV) congress held Monday. He confirmed that filming, with worldwide support from the best television and film studios, will start soon. “It has to be something beautiful, well done. Chavez’s life is a school (of information) and we have to do it with the best actresses, the best actors, the best directors and the resources we have,” Maduro said. Venezuela’s Communications Minister Jorge Rodriguez, and Adan Chavez, the brother of the late president, have been tasked with heading the project. 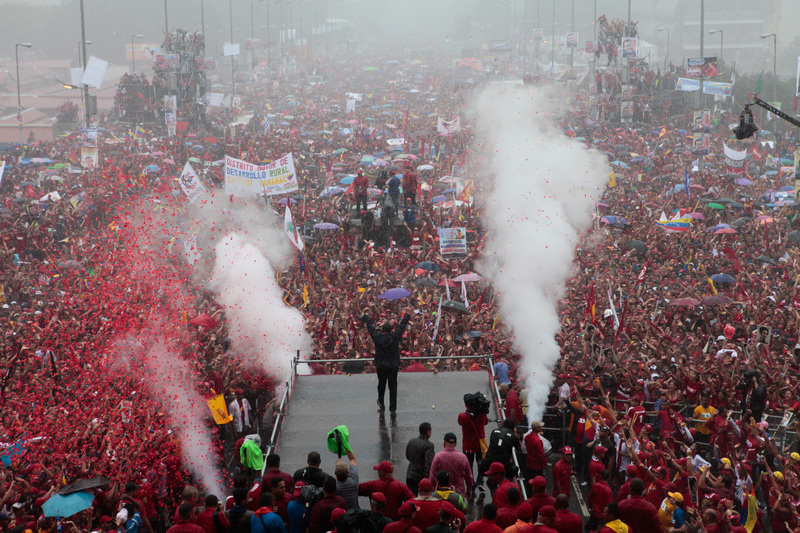 Chavez, who was first elected in 1999 and won re-election several times, conceptualized and implemented many of the major programs under the Bolivarian Revolution and a series of progressive, socialist programs during his 14-year presidency. He was temporarily removed from power in 2002 by a United States-backed coup. Chavez died on March 5, 2013, at age 58, following a battle with cancer.